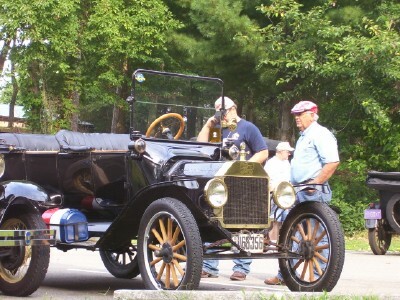 The September meeting, led by Bob Torbet, was held at Jack Putnam's. The treasurer's report was given by Jack Putnam. We had a total of 14 members and guests present. Everyone was given a chance to introduce themselves. 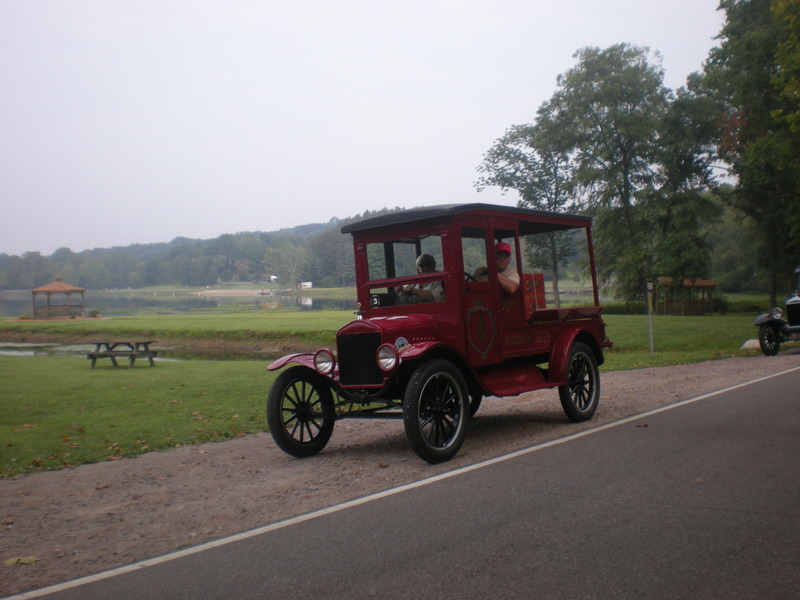 Everyone was given a chance to recollect their experiences at the All Ohio Model T Jamboree. It was a great weekend again this year. 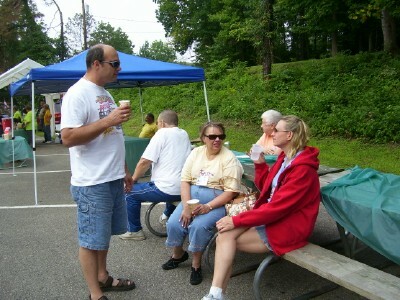 We also talked about the fun that we had at the Findlay Backstreet Festival. There were a number of us at each of the events this year. 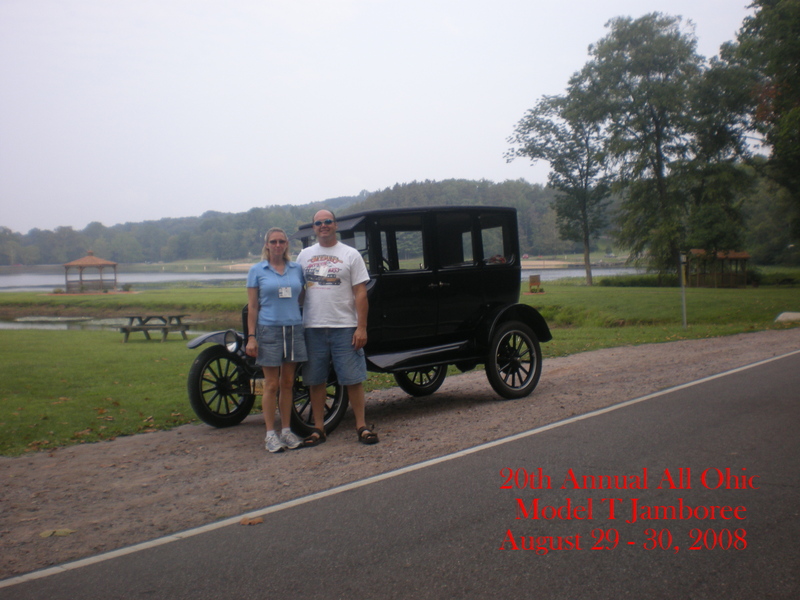 It had been voted on at the August meeting that we would make our club available to host the 2009 All Ohio Model T Jamboree in the Tiffin area. This fact was announced at the closing breakfast of this year's Jamboree in Jackson. People seemed quite receptive to the idea of having a Jamboree in a flatter part of the state. The last 5 or 6 years have been in the hills of Ohio and even Kentucky and Indiana. We had a short discussion about how Jim Cook and Joe Bell would do most of the work for our club, since it will be in the Tiffin area. 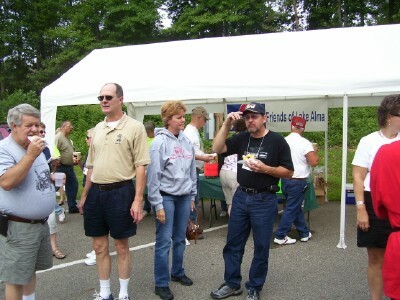 The rest of the club will be asked to help out when we get closer to next Labor Day weekend. The subject will likely come up in every meeting; so, don't be surprised if you hear more and more as the year goes on. I had a wealth of pictures to use in this newsletter and could only use a few. I will continue to filter them into future issues of the Front Seat News. 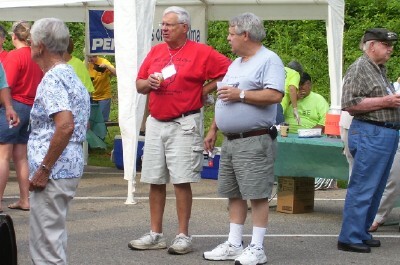 Jack and Bob look out over the lake from the coffee break on day one. 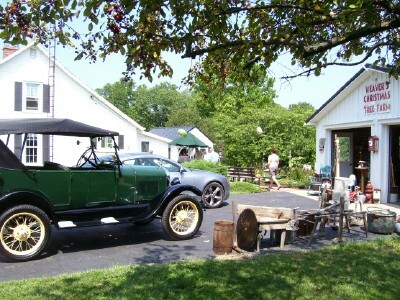 The next couple of photos will be of the club members' cars that were there. 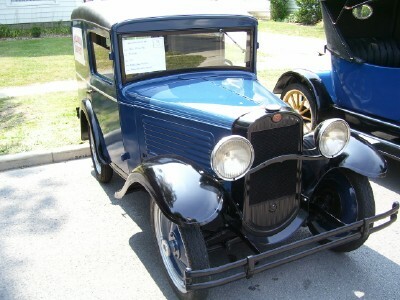 The first is Bob's 1927 touring that I got to drive on the second day of the tour. You can ask me why I was driving other people's cars at the meeting. This is one of my favorite events each year. 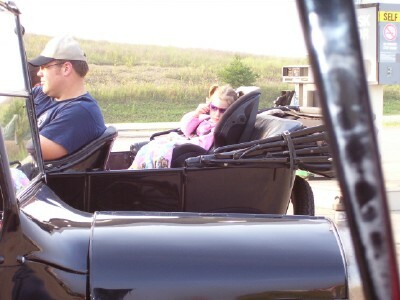 The show is limited to cars from the prewar era, no hotrods allowed. 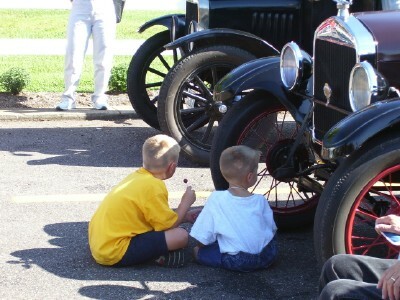 It brings out cars that we would not normally see, because it is put on by the Historical Society and not a car club. 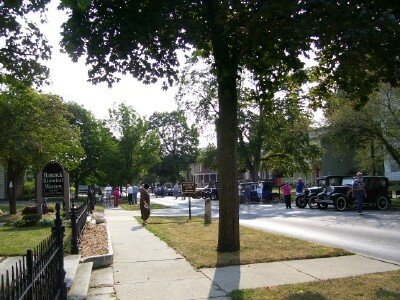 This picture shows the street in front of the Museum that is blocked off for the cars. Here I am, polishing the radiator for the first time of the season. Old Henry ran like a champ that day. We had lots of fun showing the car, giving a few rides to interested passers by, and eating the complimentary chicken dinner. 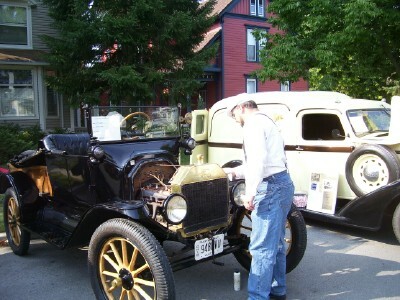 These people have the right idea about how to run a car show for antique cars. 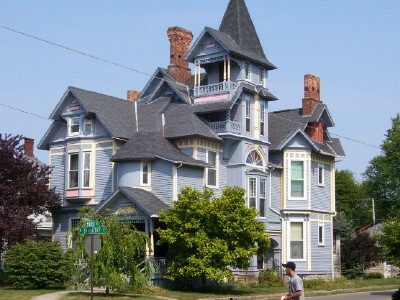 This is one of the historic home in Findlay right across the corner from the Backstreet Festival. It would be great to get inside and see what is in all of those towers and bay windows. Many of these houses were flooded last year at this time. That is why we missed a year of this fine event. Just imagine that house surrounded by 2 feet of water! This is one of those cars that is very rarely seen at any other car show. 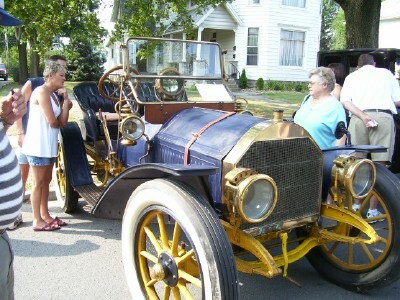 It is a Thomas Flyer that is owned by a resident of the Findlay area. He does not belong to any local club. He just drives the car that has been in his family for as long as he can remember. It is a true treat to see this type of car at a local event. You never know what is resting in barns and garages around Northwest Ohio. 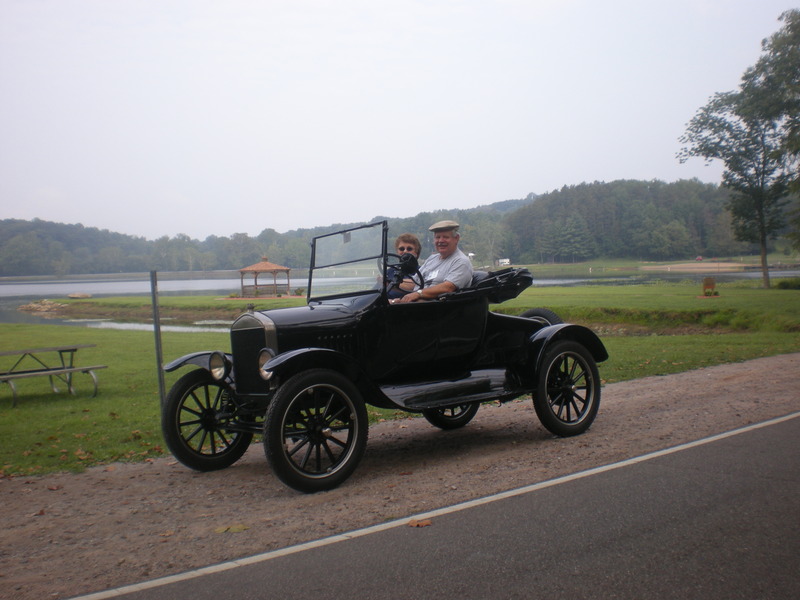 One of the cutest little cars around is this American Austin, owned by our own Bill Philips. Because of the price of gas, these little beauties have been getting a lot of attention and the value has been skyrocketing. I asked Bill about selling it. He just told me to get in line. I guess that he has a long list of other collectors that would love to get their hands on this particular car. 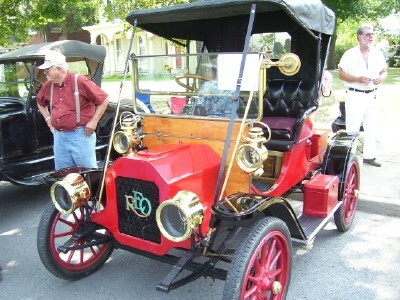 Bob Rutherford stands next to his early REO. Olds started up this company, once he sold off his Oldsmobile business made popular by his curved dash Oldsmobile and the French Front Oldsmobile. 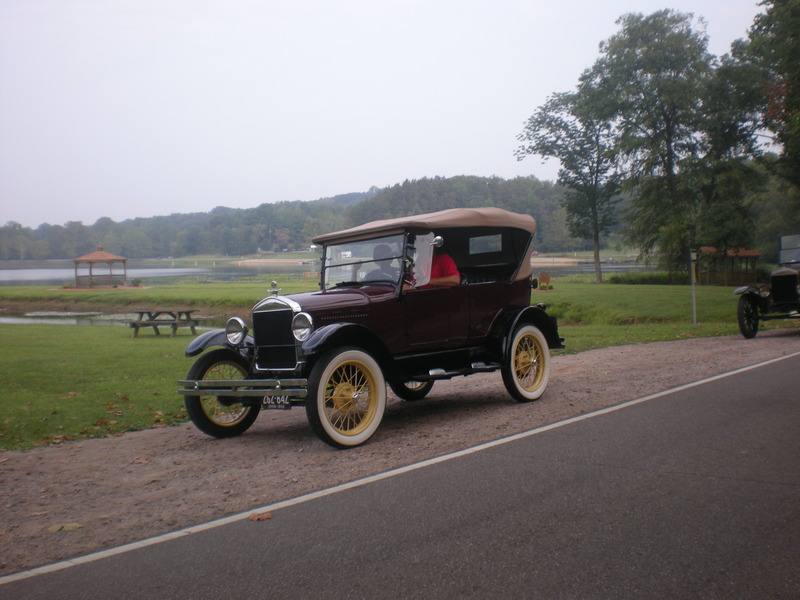 Bob has had this car for more than 10 years now and really enjoys starting it up and driving it around. It has quite a heavy flywheel that really lets it move quickly, once it gets a good rolling start. 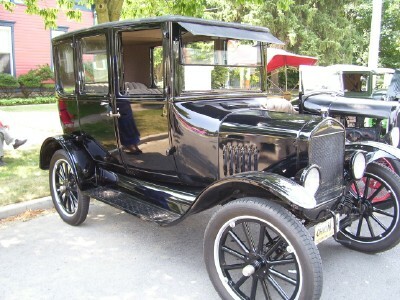 Once again there were a number of Model T's at this event that I did not recognize. And I thought that I knew of most of them in the area. We just need to get them out and rediscover the joy of driving a piece of history.